From downtown Asheville to the mountain town of Chimney Rock, every city and town in Western North Carolina has its own personality and charm. Whether you are planning a family vacation or an exciting weekend getaway, this special region of North Carolina offers an abundance of activities for people of all ages. 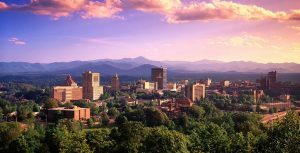 Below you will find a comprehensive guide to the best things to do in the nearby cities of Asheville, Flat Rock, and Hendersonville. If you are looking for more fun things to do in the Chimney Rock/Lake Lure area, download our free Chimney Rock Vacation Guide! It is full of over 100 recommendations on restaurants, breweries, outdoor recreation, and more. Delve into history and explore the legendary Biltmore Estate and its gardens. Get a proper taste of North Carolina with a tour at any of the city’s amazing breweries. Take an art class and getting to know the city’s artists in the River Arts District. Ride down America’s steepest and fastest canopy tour on the Gorge Zipline. Pick your own apples at any of the town’s grand apple orchards! Go gem mining at Elijah Mountain Gem Mine. Tour the vineyard and have a wine tasting at Burntshirt Vineyards. Explore over 235-acres of forests and mountain landscapes at Holmes Educational State Forest. Watch Broadway musicals, comedies, and dramas at The Flat Rock Playhouse in the heart of the Historic Village. Visit the historic Carl Sandburg house and their 264-acre working farm. Explore the beautiful waterfalls on the Pulliam Creek Trailhead. Located in the heart of Chimney Rock, The Esmeralda Inn & Restaurant is in the middle of all the best things to do and see in Western North Carolina. When you book any of our cabins, like The Esmeralda Cabin, you can always look forward to the best packages and top-notch service. Complimentary breakfast, onsite spa services, and access to our luxurious outdoor hot tub are just a few of the conveniences included with your stay. 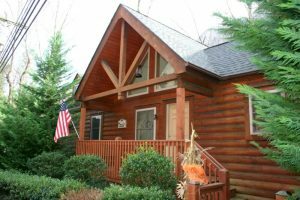 When you are ready to plan your Western North Carolina getaway, check our availability and book your stay today. We can’t wait to host you at The Esmeralda Inn & Restaurant! For a complete list of all the best things to do in Asheville, Hendersonville, Flat Rock, Lake Lure, and Chimney Rock, remember to download your free vacation guide!